Blood clots are accumulations of blood that have changed from liquid into a semisolid state. Clotting is a normal function that is essential for injuries. It ensures that you don’t lose too much blood when you cut your finger or scrape your knees. But not all clots are a good thing. When they occur inside your veins and arteries or fail to dissolve after you’ve recovered from an injury, they can lead to a host of different problems. Complications from blood clots can be life threatening, so if you think you have one, contact a medical professional immediately. So what causes blood clots? And how do you prevent them? Your circulatory system pumps blood–which contains oxygen and essential nutrients–throughout your body. It’s comprised of veins and arteries. Arteries carry blood rich in oxygen, while veins carry blood low in oxygen. There are two main types of blood clots – arterial clots and venous clots. Arterial clots are blood clots that occur in arteries. These can cause immediate symptoms and require emergency treatment (x). Venous clots are blood clots within the veins. These clots build slowly over time but they can still cause life-threatening issues (x). Clots can restrict blood flow near organs, or they can travel throughout the body. 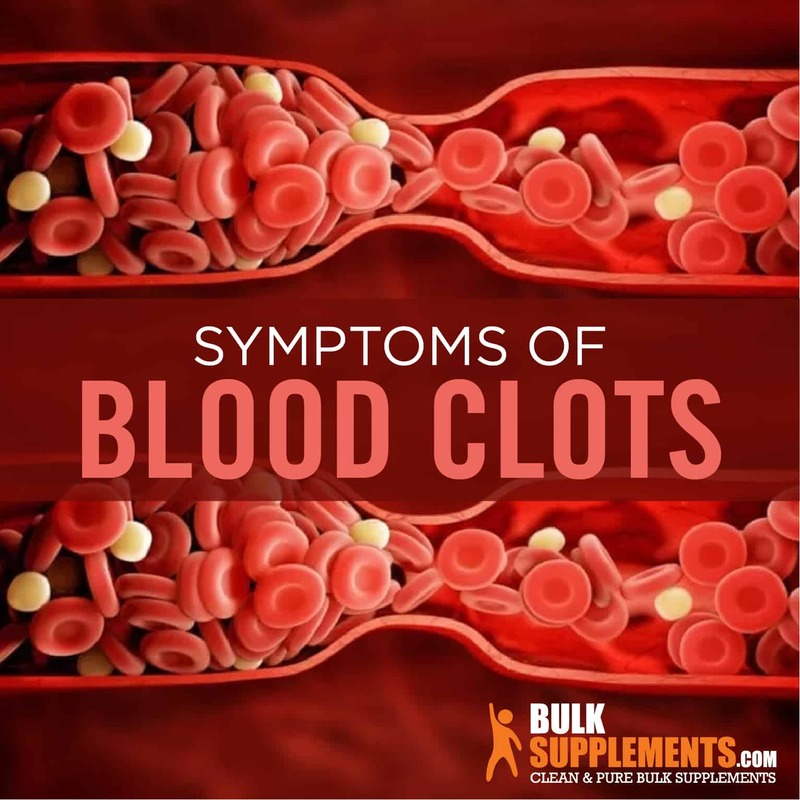 Because there are different types of blood clots affecting different areas of the body, the signs and symptoms depend on the type of blood clot causing problems. Here are some of the more well-known and serious clot conditions. Deep Vein Thrombosis (DVT) occurs when a clot forms in one of the deep veins inside your body, most typically in the lower leg. However, it may also occur in the arm, thigh or pelvis (x). DVT is a very serious condition. The CDC estimates that each year, DVT and its complications kill 100,000 Americans and affect upwards of one million people. Symptoms of DVT include swelling and/or pain in the affected area (usually the lower leg), redness, and a feeling of warmth in the affected area. Blood clots that form in arteries of the heart cause a condition called coronary thrombosis, which can lead to a heart attack. These clots can go undetected for some time. Coronary thrombosis symptoms include severe pain in the chest and/or left arm, sweating, trouble breathing, shortness of breath and lightheadedness (x). An ischemic stroke occurs when blood flow to the brain is cut off. While other conditions can cause strokes, artery obstruction accounts for 87 percent of them. Symptoms that could suggest a stroke and require immediate medical attention include a sudden and acute headache and sudden changes in vision and speech. Weakness and drooping or numbness on one side of the face or in one arm may also occur (x). A pulmonary embolism is a blood clot that travels to the arteries of the lungs, usually from the legs. Like the other complications from blood clots, getting medical attention quickly can help minimize the chances of severe, permanent injury or death. Seek immediate help if you experience chest pain, shortness of breath, coughing with or without blood, rapid heartbeat, clammy skin and/or sweatiness (x, x). The good news is that if caught early, blood clots can be treated by different blood thinning medications. However, you’re much better off taking steps to prevent them. Informing your doctor of any family history of blood clotting. Acai Berry: This superfood is packed with antioxidants and other great things for your circulatory system. These berries are rich in polyphenols, whichs studies have linked to improved cardiovascular health and decreased levels of bad (LDL) cholesterol. There is also evidence to suggest that anthocyanins— the compound that gives acai berries the rich purple color— have additional protective benefits (x, x). Aronia Berry: Although less famous than acai, aronia is a heart-healthy antioxidant and anti-inflammatory supplement. Aronia extract keeps blood vessels healthy and protects you from coronary artery disease. It also can lower blood pressure, another contributor to blood clots (x, x). 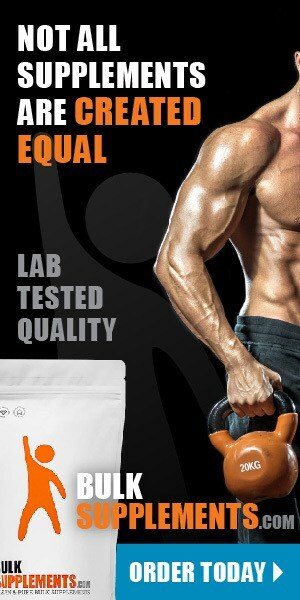 Vitamin C: We all know vitamin C is a powerful immune system booster. But that’s not all it does! Research has shown that Vitamin C can significantly lower levels of bad cholesterol and protect against fatal heart disease. Plus, it promotes healthier circulation by relaxing the blood vessels, preventing blood clots from forming. A dosage of 500 mg of vitamin C daily has been linked to a 25 percent lower risk of developing heart disease (x, x, x). Barley: This essential grain may prevent two of the most serious contributing factors to blood clots— high blood pressure and high cholesterol. Barley contains the right types of fiber that help prevent heart disease while also having vasodilatory effects, promoting better blood circulation (x, x, x, x). Blood clots are a serious health problem and reducing risk factors is key. By adopting a diet rich in omega-3 foods along with adding certain supplements, you can help prevent blood clots from forming. You can also reduce your risk of developing blood clots by exercising regularly. If work or travel requires extended periods of sitting, be sure to stand up regularly, stretch and take a walk. Finally, be aware of any family history or other conditions that may increase your chances for developing blood clots so you can safely manage your health.